Friends of Burnie Penguins - Offer a free guided experience to visitors to the Burnie Little Penguin colony. You will have an opportunity for a close up and personal view into the life of penguins. 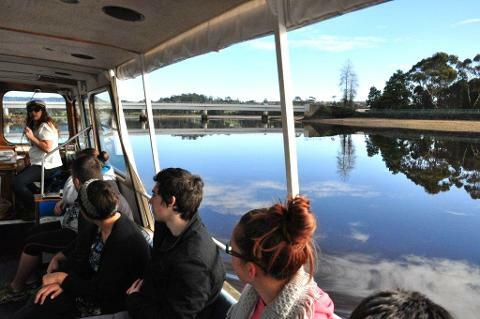 Take the scenic drive from Devonport west on coastal Route 1. You'll pass through scenic seaside towns like Penguin before you end up in Burnie just half-hour's drive away. The first thing you'll notice about this northwest coastal town is the towering industrial port. But don't let the industry fool you -- there are artisanal treasures to be found. 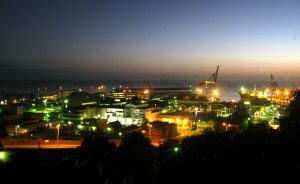 Emu Bay, the distant Bass Strait and the town's proximity to the Australian mainland made Burnie uniquely perfect for an industrial port. Nearby forestry also made Burnie the perfect place for the paper mill industry. But the industrial port is only a part of Burnie's past as the town has found a way to reinvent itself. This community of artists is just 47 kilometres west of Devonport and a 30-minute drive. It's nearly 150 kilometers from Launceston and a 1.5 hour drive. Hobart is clear across the island and will take you nearly 4 hours by car. This beach side enclave of makers has an eclectic mix of shops and galleries throughout. A stroll through town could take an entire afternoon as you marvel at what the local makers have crafted. Then it's time for an evening stroll along Emu Bay where you can look out over the Bass Strait and imagine the Australian mainland in the distance. Even the industrial side of town is worth exploring. It is full of history and it is all captured by the Burnie Regional Museum. 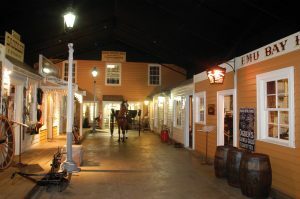 The museum is open daily and features a replica of Burnie's main thoroughfare -- Federation Street -- which is frozen in time. 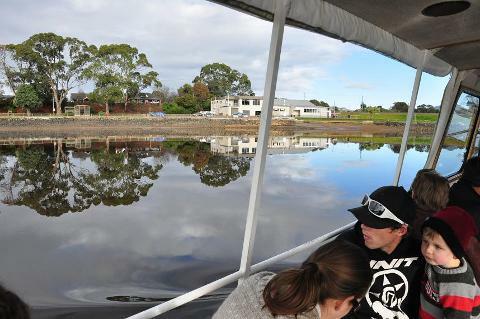 It shows you the historic life of this important Tasmanian port city. Burnie is the perfect stop during a seaside drive exploring the northwest coast. It is a unique town worth an afternoon to experience the town's reinvention as a maker's enclave. It also has plenty of shops, restaurants and short walks to explore during your journey. The port town is also perfect for those looking to stay longer to learn a craft. 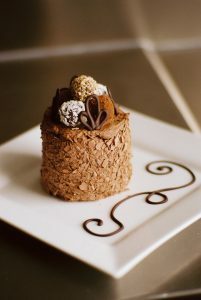 There are plenty of accommodations in town that can suit the budget of just about any traveller. Who knows, you just might be invited into the community of makers and it may inspire you to move to this seaside community. Burnie has a broad range of appeal. Of course, there is the Maker's Workshop that calls out to anyone with a creative streak. But the town also has one of Tasmania's finest distilleries. The Hellyers Road Distillery is Australia's largest boutique whisky distillery which draws thousands of spirit lovers from all over the world. Burnie is a great place for a leisurely libation. History buffs are drawn to Burnie for the Burnie Regional Museum where the rise and fall of industry can be experienced. But Burnie is also perfect for nature lovers. 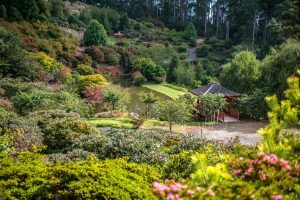 The 12-hectare Emu Valley Rhododendron Garden makes for a lovely stroll while the Little Penguin Observation Centre draws thousands between the months of September through March. Burnie is a well-developed town with plenty of accommodations throughout. You'll find a wide range of options in and just out of town. The Little Penguin Observation Centre. September through March, you can watch the world's smallest penguins swim back to shore in formations called rafts. These tiny blue penguins make beachside homes and you can watch silently from a nearby boardwalk. Burnie Regional Museum. This historic museum is nestled right into the industrial area of town where you can walk a replica of Federation Street from generations past. Maker's Workshop. Burnie has reinvented itself as a maker's enclave. You can watch makers ply their craft or choose to get hands-on. Learn how to paint, draw, sculpt, make paper, create textiles, blow glass and more. Emu Valley Rhododendron Garden. More than 12 hectares of beautiful flowers perfect for a romantic escape. The first explorers of the Bass Strait noted a "peak like volcano" at the site of Burnie in 1798. The first land expedition took explorers up the mountain where they noted the area's agricultural potential back in 1827. Burnie, originally known as Emu Bay, soon exploded with the forestry industry. A sawmill was built in town and timber was exported to mainland Australia. In 1847, the Burnie Inn was built to accommodate loggers and it still stands in operation today. The late 1800's brought a train track to Burnie connecting the town to Zeehan for silver exports. Burnie's industrial portside grew. In 1937, the Associated Pulp and Paper Mills was built cementing Burnie's importance as a port city. 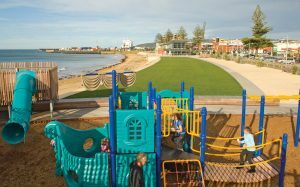 Emu Bay and the Bass Strait ensure mild summers and cool winters in Burnie. The summer is drier than the winter, but Burnie is perfect for a year-round visit with its makers workshop and museums. Just inland from Burnie is a myriad of wonderful walks. There are multiple waterfalls and bushwalks to explore including the beautiful Guide Falls.